“For the Christian faith,” Fr John Behr declares, “there is, unequivocally, but one God, and that is the Father” (Nicene Faith, II:307). Western Christians, whether Catholic or Protestant, hear this declaration and wince. It just does not accord with their understanding of the Holy Trinity. The Eastern construal of the monarchy of the Father seems like a relic of a bygone era that has now been transcended by superior models of divine triunity (see, e.g., “Beyond 4th-century Trinitarianism” by Michael Liccione). Not only are there the classical formulations of St Augustine of Hippo and St Thomas Aquinas; but in the last century we have witnessed a renaissance in trinitarian reflection—Karl Barth, Karl Rahner, Jurgen Moltmann, Catherine LaCugna, Wolfhart Pannenbert, Robert W. Jenson, Colin Gunton. None of them speak of the divine monarchy as Orthodoxy does, yet Eastern theologians remain insistent: the Father is the one God. Among contemporary theologians Met John Zizioulas has been the most vigorous in advancing the divine monarchy of the Father. His reflections on the mystery of the Holy Trinity are sophisticated, subtle, profound, and, yes, controversial. He has been accused of reading back into the Fathers, and into the Church’s doctrine of the Trinity, a modern existentialist understanding of personhood. Zizioulas has read deeply in the Fathers, but he reads them not as a historian but as a systematic theologian. Hence it is sometimes difficult to know where St Basil stops and Zizioulas begins. There is nothing wrong with this. Theology is not archaeology. It is creatively speaking the apostolic faith into the present. After finishing my article on “St Gregory the Theologian and the One God,” I picked up my old copy of Being and Communion, as well as two other Zizioulas books that I had bought over the past month or two, and began working my way through Zizioulas’s trinitarian essays. I will not pretend that I have a firm or even confident grasp of the material. Zizioulas is a brilliant theologian. Few can match his erudition. I probably should re-read (and re-read yet again) his books before blogging on him—but bloggers go where real theologians fear to tread. So instead I thought I would briefly share with you my provisional and fallible thoughts on Zizioulas’s understanding of the role of the Father within the eternal life of the triune Godhead. (1) The Cappadocian Fathers established the vocabulary of trinitarian discourse by stipulating the use of the word ousia to designate the common nature of God and the use of hypostasis to signify the individual realities of the Father, Son, and Holy Spirit, as well as uniting hypostasis with prosopon. Up until the Cappadocian revolution, hypostasis served as a synonym for ousia, both being translated into Latin as substantia (substance). Both ousia and hypostasis were employed as metaphysical terms to denote “the unchanging being found within or beneath each individual thing” (Zizioulas, Lectures in Christian Dogmatics [LCD], p. 49). Different philosophical schools gave these two words their own twists in meaning, but the important point is that they basically functioned synonymously to signify, in some way, the ontological reality of things. 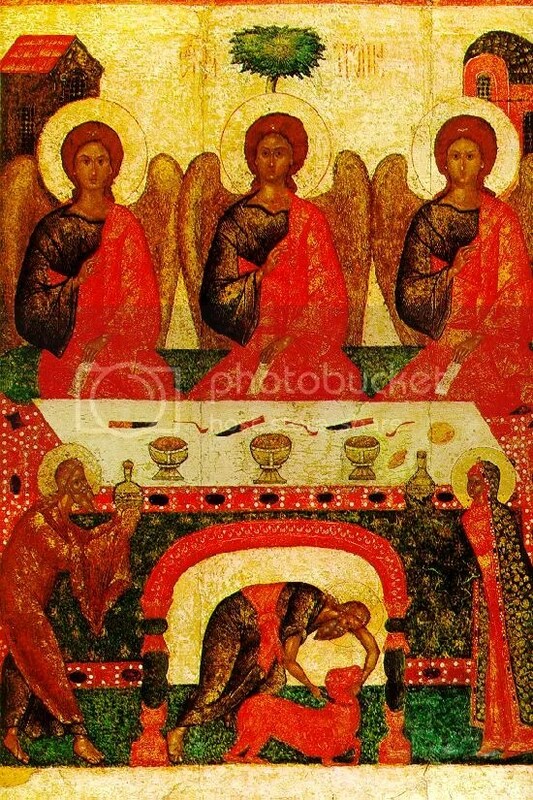 In the decades both preceding and following the Council of Nicaea, ousia was used by Eastern theologians to designate that which makes God to be God and unifies the Triad; but what word was to be used to designate the particular realities of the Father, Son, and Spirit? The West had decided in the late 2nd century on the word persona; but matters were more difficult in the East. One possibility was prosopon, which meant “aspect” or “face” and was used to refer to the mask worn by actors in the theatre; but this was deemed inappropriate for trinitarian usage. It too easily suggested a form of modalism. In the third century the great Origen had begun using hypostasis to designate the beings of the Triad, but this created a lot of confusion for the Latins and Easterners alike. Ousia and hypostasis were generally considered synonymous, and both words were rendered in Latin by the word substantia. How can there be three substances and one substance? It was all quite confusing. The speaking of authentic personhood, both for God and for humanity, had now become a possibility within the world. (2) Following, and extending, biblical and creedal usage, the Cappadocian Fathers identified the hypostasis of the Father as the “one God” and exclusive source and cause of the Holy Trinity. Zizioulas thus firmly asserts the monarchy of the Father. At no point can the divine substance be analyzed apart from the divine hypostases. Divine substance never exists in a naked state. It always exists in a personal mode of existence, as divine person. Zizioulas believes this is the critical flaw of Western trinitarian theology: Western reflection begins first begins with the essence of God and then establishes the persons of the Godhead as relations within that essence. Some theologians have complained that Zizioulas has presented us with a caricature of traditional Western triadology; but regardless, he has made his point. Divine being is person. (3) Because the Father is both the source of the Son and the Spirit and the cause of their existence, God is free from all necessity. Here we come to the heart of Zizioulas’s theological and soteriological concerns. Consider the alternative. If substance is ontologically prior to person, then even God is bound to necessity: God must exist. God must generate the Son and Spirit. God must be Holy Trinity. Ultimately, he is no more free than the creatures he has made. The necessity of substance rules. And if God is imprisoned by substance and its necessities, then he cannot give us hope for authentic freedom. Zizioulas’s assertion of divine freedom at this point raises an important question: Does God choose to be triune? How is God’s freedom to generate the divine persons different from his freedom to create the world ex nihilo? Because the Father is person, because he freely initiates his trinitarian existence, he enjoys absoute freedom. He is not bound by the necessities of substance, not even his own substance. God is truly free, and it is this freedom, the freedom of personhood, the freedom from death and the constraints and burdens of fallen existence, that he offers to humanity in Jesus Christ through the Spirit. It is this reality that underlies the truth and power of the gospel. What is resurrection but the gift of freedom and triumphant life. (4) Because the Father freely generates the Son and Spirit, he is love. To speak of the love of God is to speak of the Father who is love, of the one who communicates himself fully, totally, and exhaustively in his Son and Spirit. It does not, in other words, refer to an emanation that flows from the divine essence; it does not refer to the nature that is shared in common by the divine hypostases; it does not refer to the benevolence, at least not principally, that the Deity expresses towards the created order. Love refers, first and foremost, to the Father who begets his beloved Son and who, in infinite self-giving, spirates his Holy Spirit. “When we say that ‘God is love,'” explains Zizioulas, “we refer to the Father, that is, to that person which ‘hypostasizes’ God, which makes God to be three persons” (BC, p. 46 n. 41). The love of God is personal, free, and ontological. If it were not, it would not be love. If Zizioulas is correct in his analysis, perhaps we can better understand now why Orthodoxy is so emphatic on the decisive significance of the divine monarchy: it guarantees the freedom of God over the necessities of nature and establishes his trinitarian unity in infinite and eternal love. Hence Orthodoxy’s firm refusal to compromise on the filioque. There can only be one cause of the Godhead—God the Father. It is insufficient to simply affirm that the Father is the source of the Son and Spirit. It is also necessary to declare that he is the one and only initiating cause: “The term cause, when applied to the Father, indicates a free, willing and personal agent, whereas the language of source or principle can convey a more natural and thus impersonal imagery” (Zizioulas, “One Single Source“). In whatever ways we might want to develop the Church’s formulation of the Trinity, we cannot abandon, compromise, or slight the monarchy of the Father. This entry was posted in Holy Trinity, Zizioulas & Yannaras and tagged Cappadocians, Monarchy of the Father, trinitarian theology, Trinity, Zizioulas. Bookmark the permalink. Re: the reference to Mike Liccione: I don’t know if we need to talk about the arresting of doctrine in the 4th century in this kind of discussion as long as we have the ongoing comparisons of the Antiochian and Alexandrine schools in the patristic era. Better to turn the comparisons to Tertulian and Basil rather than to Zizioulas and Rahner, for example, to get to the root of it…no? Samn!, perhaps you could elaborate further on how you understand Zizioulas on person and individual and how that contrasts with the Damascene’s presentation of the Trinity. Thanks! Zizioulas locates the theologially productive tension in the Cappadocians’ Trinitarian theology as existing between freedom (hypostasis/prosopon understood as having relational value) and constraint (ousia/physis). He also creates an opposition between hypostasis/prosopon and atomon, which he understands as non-relational. The problem here is that this problematique of freedom/constraint probably owes quite a lot to Heidegger but is hard to find either in the Cappadocians or in subsequent Greek fathers who read them. For the Damascene, as well as most (all?) post-Chalcedonian writers in Greek and Arabic, the productive tension is between the particular and the universal. So, if we look at the Damascene’s Dialectica or Institutio Elementaris, hypostasis = prosopon = atomon, in terms of their being particulars, while ousia = physis in terms of their being universals. That both the Cappadocians and their later Greek readers understood hypostasis as Aristotelian primary substance and ousia as secondary substance seems fairly clear if you read over the length of the tradition, and any number of modern commentators maintain this, even if it’s only made explicit in Arab writers like Theodore Abu Qurrah and Abdallah ibn al-Fadl al-Antaki (I’ve published on the latter’s understanding of hypostasis). A good starting-point for the theological productivity of the tension between particular-universal can be found in Melchisedec Tooronen’s book “Union and Distinction in Maximus the Confessor”. In any place where a Greek father defines hypostasis (the Dialectica becomes the locus classicus), the definition boils down to it being a concrete, individuated substance– very much an atomon, and not at all necessarily Zizioulas’ understanding of the term. Incidentally, given the obvious implications in an Islamic milieu, there is quite a bit of discussion among medieval Arab Christians about whether the One God is the Father or the divine substance. Among the Orthodox, most writers (and the best) stick close to scriptural usage and maintain that the One God is the Father, but that linguistic practice often uses ‘God’ to refer to the divine substance. I shall not even try to determine where Basil (and the other Cappadocians) end and Zizioulas begins, since I lack the erudition to do so. But I have two problems with Z’s approach. First, if only the Father is “the one God,” then it cannot be said that the other two persons are the same God as the Father. I do not see how, in turn, that result avoids tritheism. All that can be said is that the Father communicates the divine essence to the other two by causing them, so that they are divine to the same degree as the Father. But maybe I’m just misunderstanding Z. I rather hope so. Second, Z’s account of divine freedom–at least as you present it–is one-sided and thus unsatisfactory. On his account, God ad intra is free only in the sense that God is free from any kind of extrinsic compulsion: as you put it, from “the necessities of substance.” But Z’s distinction between ‘willing’ and ‘the wiling one’ does not yield a sense in which the willing one, i.e. the Father, could have done otherwise than originate and love the other two persons. All it does is establish that his wiling is personal–which is a conceptually necessary truth, since only persons can will. But that is compatible with a kind of determinism of nature or essence. For if it is essential to God to be personal–and I don’t see how it wouldn’t be–then God can only act personally, without its following that the Father could have done otherwise than originate and love the other two persons. As a Latin, on the other hand, I have no problem with saying both that God is essentially tri-personal and that God acts freely ad intra as well as ad extra. The Father is not free to refrain from originating and loving the other two persons, and they are not free to refrain from loving the Father and each other, but how the perichoresis takes place can still have been otherwise, as a matter of choice. Even though whatever-the-choice-is is eternal and unalterable, it is, like the choice to create i>ad extra, only hypothetically necessary not absolutely necessary. Is your concern here, Michael, directed at Zizioulas or at the Cappadocians? It seems to me that on this point they line up pretty well. It’s been an unwritten rule of mine ever since I read Jenson that if one’s presentation of the Trinity does not elicit concerns about tritheism, one isn’t doing one’s job. The Cappadocians were attacked precisely on this point. After all, what is the biblical story but the story of the one God of Israel who Jesus of Nazareth addresses as “Father,” with the mysterious Spirit thrown in as a third character. If you end up worshipping and praising each of them, then it sure “sounds” like tritheism. But of course it ain’t. We need to always begin with Scripture and the Creeds. The primary confession of faith begins “I believe in one God, the Father Almighty …” This is the language of the Bible. So it seems to me that your problem is not with Zizioulas but with the creed. The task is to work with this language, not against it. Why is the Son the same God? Why is the Spirit the same God? The Cappadocian answer is clear: because they possess in fullness and perfect the divine substance. Zizioulas gives the same answer. So why does this lead to tritheism? I’m afraid I do not see the problem. My guess is that at this point we have gotten so used to speaking of the Holy Trinity as the one God that we have become alienated from the primary language of the Church and really don’t know what to do with it. As I said in my earlier comment, I cannot say with any certainty where the Cappadocians leave off and Z begins. So I shall not contest your view that Z is at one with the Cappodocians on the points I’m considering. I don’t have a problem with the Creed. Since I believe that, if monotheism is true, each of the divine persons is the same God as the others, I believe that the Father is the one God. As it seems you recognize, affirming that the Son and the Spirit are the same God as he is perfectly compatible with that. In that vein, I believe it’s appropriate to name the Father first as the one God, because he is the originator of the other two persons. So the Creed’s expositional taxis is appropriate. But that doesn’t mean it would be false to say that the Son and the Spirit are the same God as the Father, and therefore also “the one God.” Nor does it seem that you think it would be false. I would argue, however, that while the Son and the Spirit’s possessing “the divine substance” fully and perfectly is necessary for explaining how they can be the same God as the Father, it is not sufficient by itself. For instance, each human being, just by virtue of being human, possesses the essence: humanity fully, but that doesn’t mean that each human being is the same human being as the others. It only means that each human being is equally as human as the others. Similarly, while each person of the Trinity possesses divinity fully and perfectly, it does not follow that each is the same God as the others; all that follows is that they are each equally divine. To get the needed identity-relation to follow, one must premise two additional points: (1) To be divine at all is to be fully and perfectly divine; (2) There can only be one God. I don’t think you would object to (1) and (2). If you don’t, it follows that each divine person is the same God as the others. From that in turn, it follows that the Son and the Spirit are also “the one God.” That does not contradict the ecumenical Creed. It merely points up a truth that said creed, because of its expositional taxis, does not make fully explicit. I confess that this question of the freedom of the Father is beyond my philosophical pay grade. I think I grasp Z’s soteriological concern and why it leads him to affirm radically the freedom of God and the priority of person over substance; but I’m lost after that. But I do think I remember Z addressing this question somewhere in his writings. I’ll have to hunt it up for you. Why does this feel like a chicken or egg question? I look forward to hearing more from Z on this. In the meantime, I note that I do not claim that what Z says is false. I claim merely that it is insufficient for specifying the sense in which the Father is supremely free. All you’ve so far presented Z as saying is that the Father must be supremely free, for the reasons he gives. I agree with what he says. But that doesn’t tell us whether the Father could have done otherwise than originate the other two persons. I argue that he could not have done otherwise; for if he could have, then being tri-personal is only hypothetically not absolutely necessary to the divine essence, which strikes me as something not even Z and the Cappadocians would want to say. But if it is absolutely necessary to the divine essence that it be tri-personal, then the way in which God freely loves ad intra must lie in how the persons love each other, not in the fact that the Father originates the other two persons, nor in the fact that they love each other. That helps, but does not entirely clear up my puzzlement. It seems Z holds, as I do, that God’s freedom does not consist in the Father’s having a choice to originate and love the other two persons. He has no choice but to say “Yes” to the other persons, and thus to say “Yes” to originating and loving them. But I still don’t see how that constitutes freedom, unless we say that how the persons love each other is only hypothetically not absolutely necessary. That doesn’t have to involve the Father’s saying “No” to any particular alternative way of doing so. We should say that, as infinite Mystery, the one triune God chooses X without choosing X rather than alternatives incompatible with X; we have, after all, no idea what such alternatives might be. The same goes, mutatis mutandis, for creation. God has good reason to create, but no reason to create rather than not; for whatever good is brought about by creating is already perfect in himself, so that God does not add to the sum total of goodness by creating. of the category hypostasis, or “person”—or so says Zizioulas. I have been having difficulty in trying to distinguish what Father John is saying and the foundation for the Trinitarian theology of St. Thomas, so this evening I sat down with Gilles Emory’s “The Trinitarian Theology of St. Thomas Aquinas” and I turned to pages 44-48 under the sub-title “The Essence and the Distinction of Persons: The Common and the Proper” and lo and behold I see the very same discussion of Basil that one finds here, and it is clear in the discussion of St. Thomas that there is a firm insistence on the indivisibility of substance and person. This is great fun to muse about, but I wonder, where to draw the line dividing dogma from pious speculation? We struggle to understand freedom and necessity within the realm of time-bound human agency; I would think anything we venture to say about their bearing on the Father’s agency as cause of the Trinity must be hedged with constant acknowledgement of how far we are from grasping that of which we speak. John, I claim no special insight into God’s inner life. I’m content with pointing out what must, logically, be the case given what already binds doctrinally. In the present case, I’ve made two such points. The first needs no elaboration: If there is only one God, then the three divine persons must each be the same God as the others. That is logically incompatible with saying that only the Father is the one God. The second perhaps does need elaboration. If the Father as person could have refrained from originating and loving the other two persons, then being tri-personal and being love is only hypothetically not absolutely necessary to the divine essence, just as creation is. But if the Father could not have so refrained, we must say nonetheless that God is free–because God is personal, only persons love in the relevant sense, and such love is free. So the exercise of divine freedom ad intra must somehow consist in how the persons love each other. Mike, in regard to the first point, I’d be curious how you understand Jn 20:17 and Eph 1:17. Gregory says in the Third Theological Oration that ‘God’ is a relative term: one is God in relation to someone or something. When the Father is called the God of Jesus, is he so only by virtue of the Incarnation, or is he also God to the Son eternally? If the latter, is he God to the Son in a way that the Son is not also God to the Father? Thank you Iohannes. These are precise examples of the kind of flexibility we need to have in our minds and hearts when dealing with the idea of Godhead in eternity and in time. John 20:17 is a passage I’ve often meditated on. Taken in a literal-minded way, it makes no sense to me; for how could Mary or anybody “hold on to” Jesus if he did “return to the Father,” as he did in the Ascension? So the meaning must be mystical. I take it be, among other things, that the cycle of exitus-reditus by which the Son becomes incarnate in the world and returns to the Father glorified must be complete before the Father pours out the Spirit to give birth to the Church, the Mystical Body of Christ. And I take that in turn to reveal that, in the trinitarian life of perichoresis, the Son must eternally “return” the love of the Father so that the Spirit may be breathed forth by the Father. Eph 1:17, it seems to me, applies that to the life of the Church. Both are primarily “economic,” but also illustrate the “immanent.” So the Father and Son are God “to” each other eternally. Michael: If the “one God” is the God of the Creed then I have to agree with you, but if you say that the Father is the focal point of our approach to the God-head then I think there is a little room to be flexible, theologically, liturgically [certainly: to the Father, through the Son by the power of the Holy Spirit] and spiritually. If all of the Cappadocians, it was Gregory Nyssa that fed St. Thomas Aquinas’s assertion that we tend to seek the particular by first coming through the common, and that was particularly directed toward Eunomius of course. But outside of those moments when it is necessary to make a point there is no reason not to turn one’s mind and heart and voice to the Father as God. Perhaps of interest to our readers: “Is John Zizioulas an Existentialist in Disguise?” by Aristotle Panpanikolaou.